Compliance and data governance have been at the forefront of the storage conversation for a while now, and as regulations grow more concrete with the likes of GDPR and other laws, it’s important for organizations to take the issue seriously. Not only does compliance failure mean heavy fines, but it often also threatens the integrity of your content as a whole, weakening your users’ ability to operate productively and securely, while forcing your IT team to constantly work to address security risks both major and minor. At the heart of data governance is the simple principle of coordination: knowing that each department is aware of and following policies; that new content is properly catalogued, and that content is deleted when necessary. Of course, for any large organization, this often seems easier said than done. After all, each department is receiving or generating new pieces of content every single day, and any single piece of this content could make the difference between compliance and violation, should it not be properly handled. 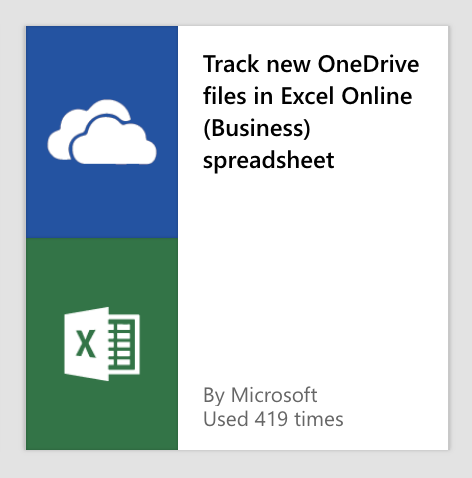 For businesses invested in compliance, Microsoft Flow–one of the most effective workflow tools available, integrated into Microsoft’s Office 365 cloud suite–offers a powerful and easy-to-institute way to standardize and automate the steps it takes to ensure that all content is properly handled, managed, tagged, and stored. What many don’t often consider is that maintaining compliance is an ongoing project, no dissimilar to many of the projects that enterprises often use workflows to organize. With the careful deployment of flow, the benefits that proper workflows confer in those scenarios can be equally felt as you strive for perfect compliance. Microsoft Flow Isn’t Always Considered a Governance Tool. It Should Be. Ensuring that your data governance strategy is successful and secure requires the attention of a number of different departments, and ongoing communication throughout your organization. As such, it’s vital to look at issues like compliance as coordinated, ongoing processes made of a number of different steps that each must be properly executed and managed. In smaller organizations, this prospect is simple enough because the amount of content and the number of individuals involved in guaranteeing compliance are relatively modest. However, as organizations grow, content multiplies and departments expand, meaning that keeping track of each individual’s behaviors and the life cycle of every single document or spreadsheet becomes extremely difficult, then ultimately impossible to do entirely manually. Microsoft Flow helps businesses bring necessary automation to this process, building workflows that mirror your organization’s approach to data governance, and allow you to sync the applications and solutions you’ve regularly used to accomplish it. As a workflow tool, Flow’s chief facet is users’ ability to link different tools together into a single process, setting up specific conditions that will trigger each tool to take a certain action. These flows, as the solution refers to them, can be as simple or as complex as you want, and are malleable enough that truly any department in your enterprise can profit off Flow’s capabilities. Whether it’s accounting, marketing, or information management, Microsoft Flow provides specialized templates to create effective workflows, alongside the ability to create your own custom flow from scratch. With this in mind, what would a workflow for your data governance and compliance strategy look like? Certainly, it would be relatively unique for each business, but it’s likely the fundamentals would be the same. In order to succeed at governance, specific departments and teams must be aware when content is created, especially content that contains sensitive or personally identifiable information. On the one hand, it would be possible to message your information management specialists every time sensitive content is created or uploaded, but for departments that are juggling multiple projects–as well as attending to basic administrative concerns–that approach is unnecessarily time consuming. It also, of course, relies on the premise that no team member is going to forget to send along a message. In terms of issues such as data governance and compliance, that uncertainty is especially dangerous. With Flow, however, that messaging can be automated. 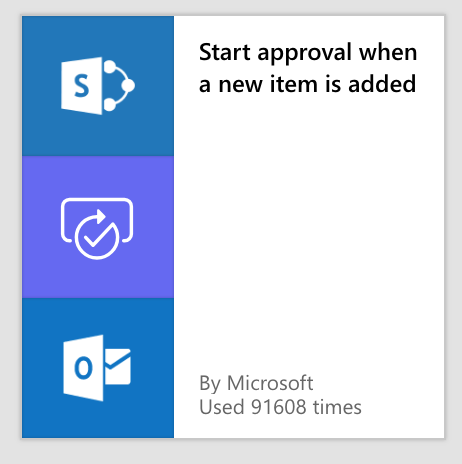 For instance, you might build a custom flow wherein anytime a piece of content is uploaded to a SharePoint site or a Box folder (perhaps one designated for newly introduced sensitive content), a form notification or email is immediately delivered to information management team, alerting them to the new item. Depending on how specific your folder or site structures are, you could even become more granular than this. Imagine that you have a new hire, and he’s been given access to some paperwork stored in SharePoint Online that he must fill out. Your team could build a flow that automatically alerts both information management and HR once the documents are complete, ensuring that the information contained within them is properly stored and protected. One of the best ways to employ this deals with site management. Many organizations will create site lists, containing information on each different site within their SharePoint Online environment. Admin awareness of new sites is essential to ensuring proper governance practices, and such lists are one of the best ways to do so. Say, that a user creates a new site. An organization could dictate that that site be added to the site list page upon creation. To ensure this, and to avoid any discrepancies, your team might create a flow that alerts admins by a number of means when (1) edits are made to the site list, pertaining to the amendment, addition, or deletion of sites; or (2) when a site is created or deleted, thus guaranteeing that these actions are broadcast to administrators even if a user forgets to make the proper edits to that list. Flows can additionally be designed to detect anomalous behavior on various sites, within email, or via social channels. Just like with the previous examples, these flows can be built to warn administrators if a given document is downloaded, a certain email is forwarded, or sensitive content is improperly uploaded. In each of these scenarios, Flow provides admins and information management specialists with real-time awareness of content and site behavior within a cloud environment. From a governance perspective, this awareness is a major advantage: helping admins ensure that users and the architecture in which they’re working doesn’t fall short of compliance regulations or disrupt in-place data governance policy. The same principles as described above can also be applied in more minor ways to help ensure proper data governance protocols. Much of the success of your governance policy relies on your users understanding that policy, and behaving accordingly. It also relies on these users being able to adapt to any changes in policy that might affect how they’re working and collaborating. Making sure that your users are consistently up-to-date on basic policies and ongoing changes is crucial, and Flow provides a means to do that, without forcing your information management or data protection specialists to email every single person within the organization. Has an individual site had changes applied to it? Create a flow that sends emails to all of the site members when you upload a new policy. Have you crafted a new compliance training? Build a flow that sends reminders to individuals who haven’t completed it within a week of it being uploaded. Part of the miracle of Flow is that it allows you to integrate hundreds of different tools and applications, meaning the elements of a flow you create are only truly limited by your imagination. Whether you want to create workflows that simply incorporate basic notification tools or ones that rely on complex actions and triggers based around specialized governance applications, the choice is yours. It is incredibly important for businesses to pay close attention to governance and compliance, for the sake of their organization, their users, their customers, and their content. While the burden of the responsibility can often seem daunting, there’s a wealth of tools an enterprise can use to stay on top of the task. Not only is Flow one of these tools: Flow can unite these tools, helping you build a process for governance and compliance that distinctly reflects the stages of your actual strategy, facilitating communication and education, while automating those small but essential tasks that you don’t want swept under the rug. With Microsoft Flow, businesses are changing the way they approach data governance, and expanding the arsenal of solutions they use to ensure its success. When it comes to a subject such as this, there’s little value in leaving options on the table.